This wine shows classic Quintet aromas and flavors of dark fruits, black olive, liquorice and spice. There is a beautifully layered palate of sweet fruits built around a savory backbone of tannin and oak derived characters. 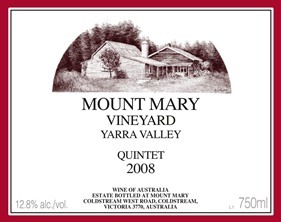 The acidity, as is the case with many Quintets, provides freshness and a clean finish to the palate. It has persistence of flavor and a noticeable elegance already that will only build with time.